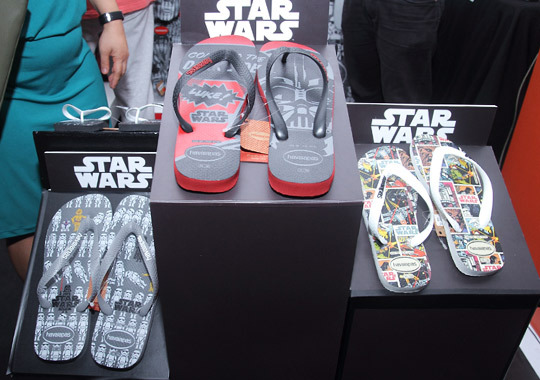 Revel in all things Star Wars, you must! 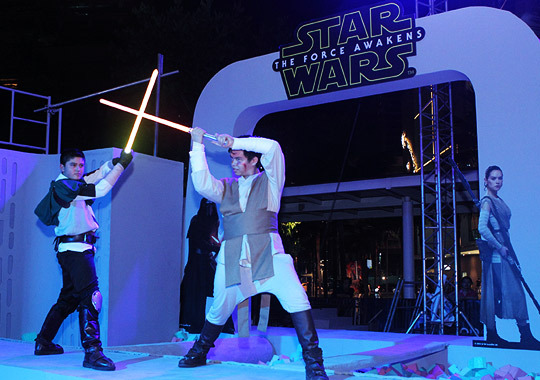 (Spot.ph) Storm Troopers walk the streets and ride the buses, Jedi and Sith wielding lightsabers wander ferely, epic music blares through the streets, little kids dress up as their favorite characters (with parents in tow)—everywhere you look the Star Wars fever has permeated the city! 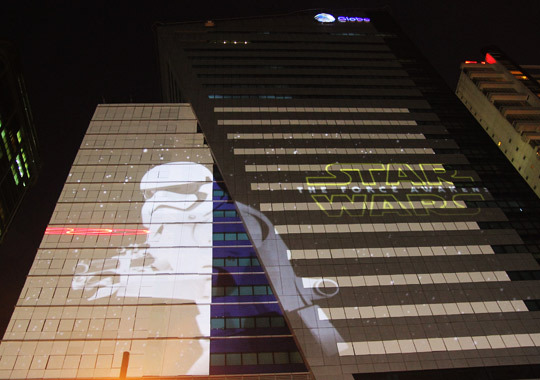 Globe jump started the weekend with a huge laser light show featuring the trailer for Star Wars: The Force Awakens, projected right onto their building! You could feel the excitement in the atmosphere as people in the streets paused to watch the building come to life with lasers and explosions. Applause and cheers filled the air; a feeling that will be replicated in hundreds of theatres all around the world upon the release of the film this week. The fanfare was replicated at the awesome premiere event hosted by Globe. 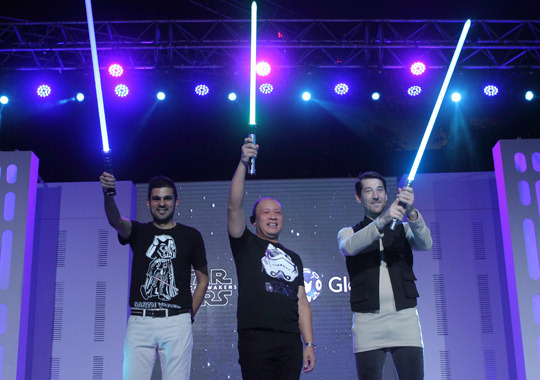 Mr. Amit Malhotra, General Manager, Studio Entertainment of the Walt Disney Company Southeast Asia, Globe CEO Ernest Cu, and Globe senior adviser for consumer business, Daniel Horan dressed as Han Solo officially launch the Globe Galactic Celebrations weekend. 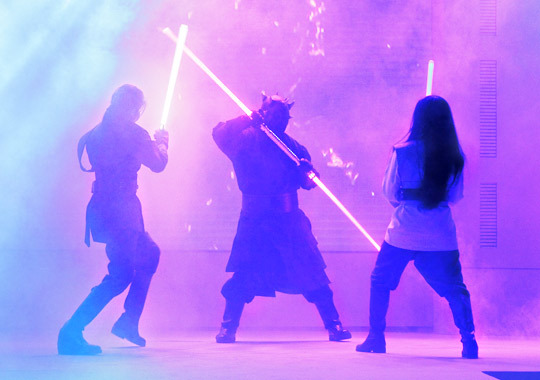 The Philippine Lightsaber Guild, dressed as Jedi and Sith, show off their skills in lightsaber combat. 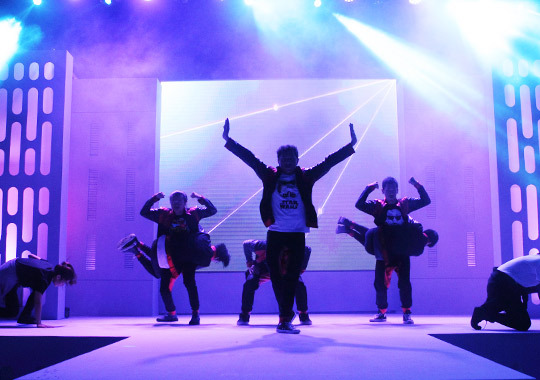 Here, the UPeepz dance crew show off their moves to the tune of the Imperial March. 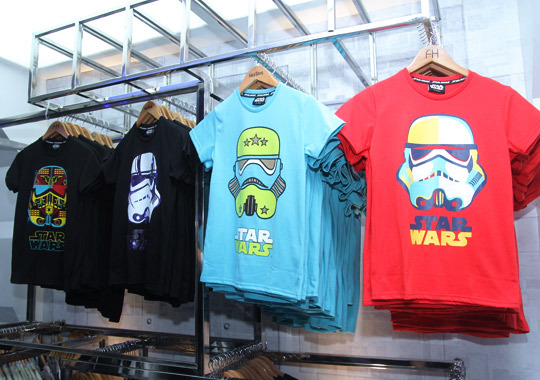 Star Wars shirts by Folded & Hung—the perfect getup for opening night! 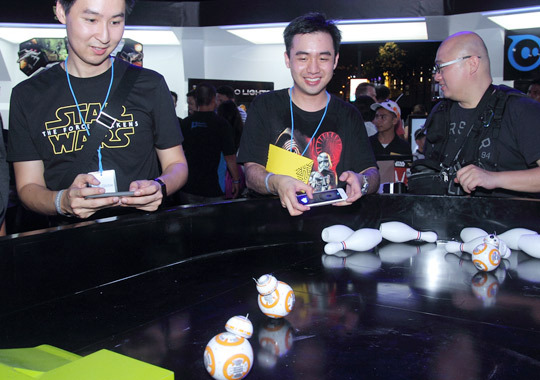 The Globe exclusive Sphero BB-8 droid showing off its moves. 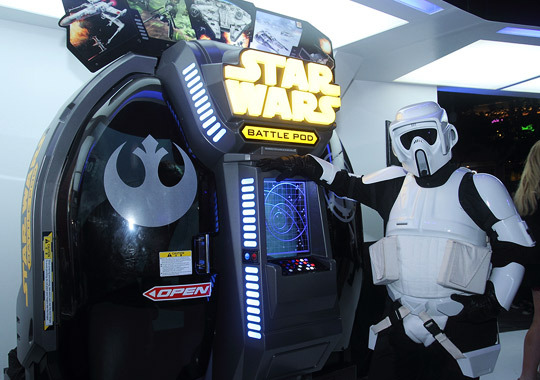 In the fast-paced Star Wars: Battle Pod arcade game, it's up to you to save the galaxy with your awesome flying and riding skills! The Jedi Training Course allowed kids to show off their courage, agility, and wisdom, all in a fun and safe environment. 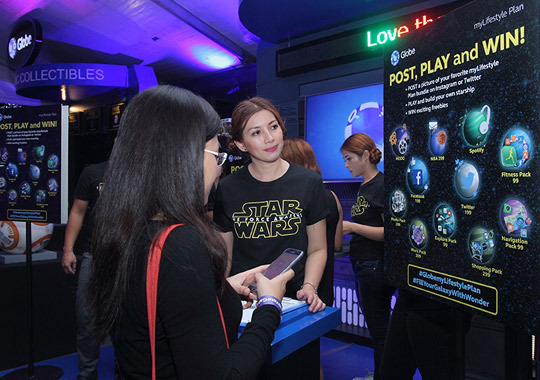 Globe also arranged booths to promote their many services through unique Star Wars-themed activities, giving all who dropped by a chance to win exciting prizes. 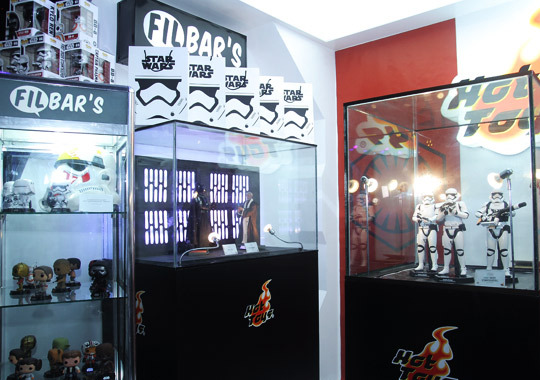 Star Wars merchandise from Globe's GEN3 store was also on display. 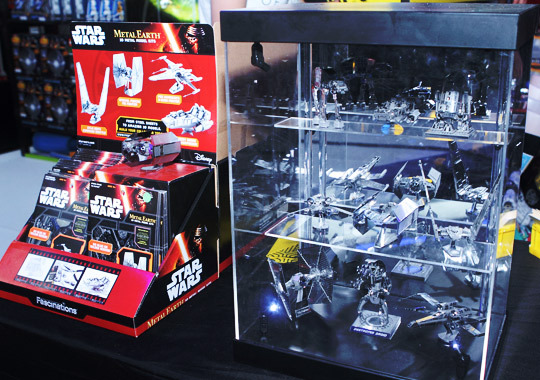 These items (including the widely popular BB-8 Droid by Sphero) are available in all Globe stores nationwide. 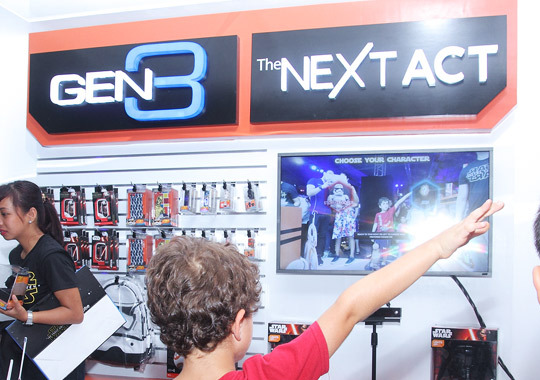 Being at the Galactic Celebrations brought our hype for the movie up to a new level! Are you excited for the premiere of the Force Awakens? We sure are! 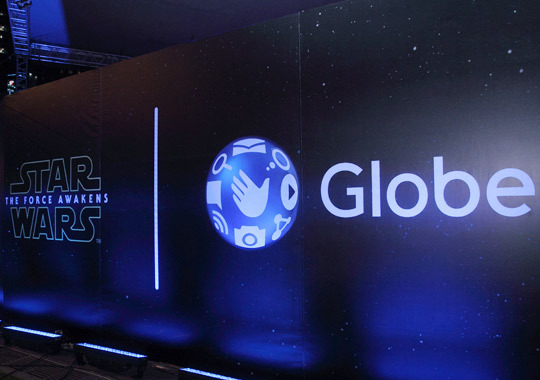 Globe’s weekend event was a great Star Wars experience that can only be topped this week by the film itself! Star Wars: The Force Awakens opens on December 17. May the Force be with you!